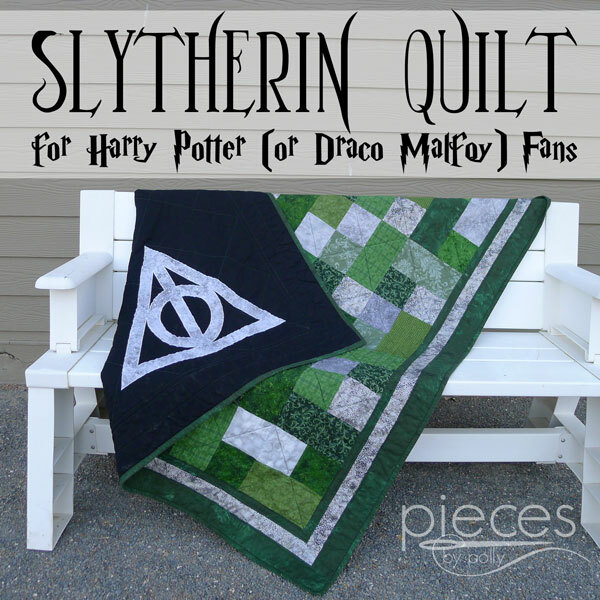 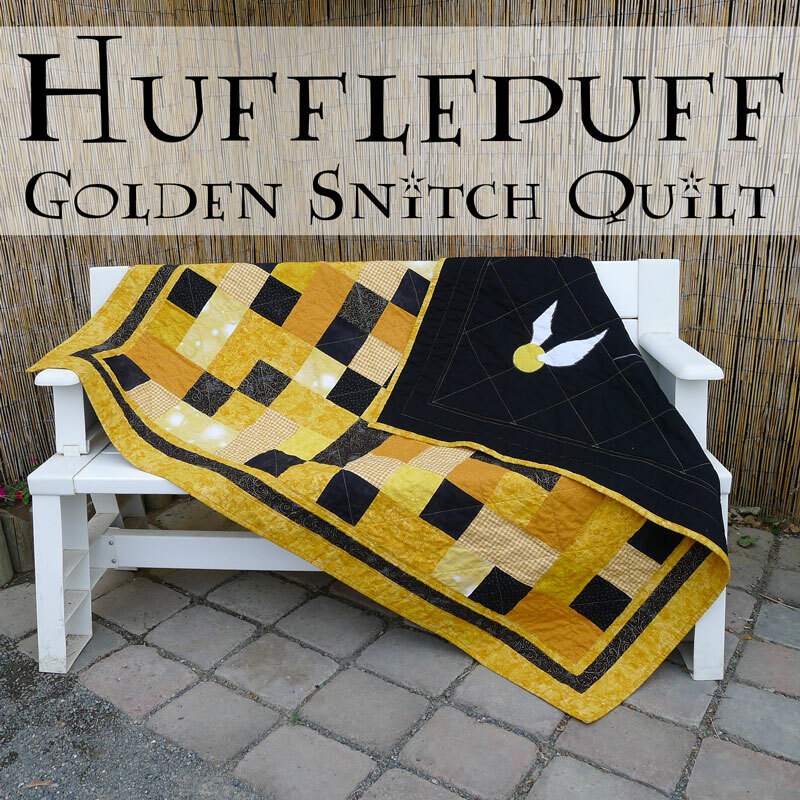 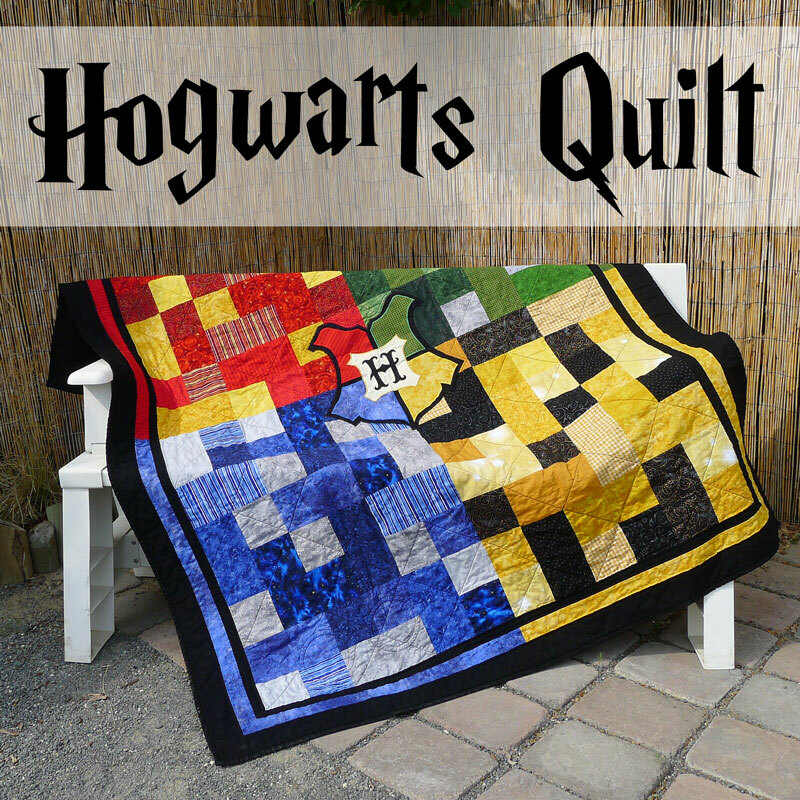 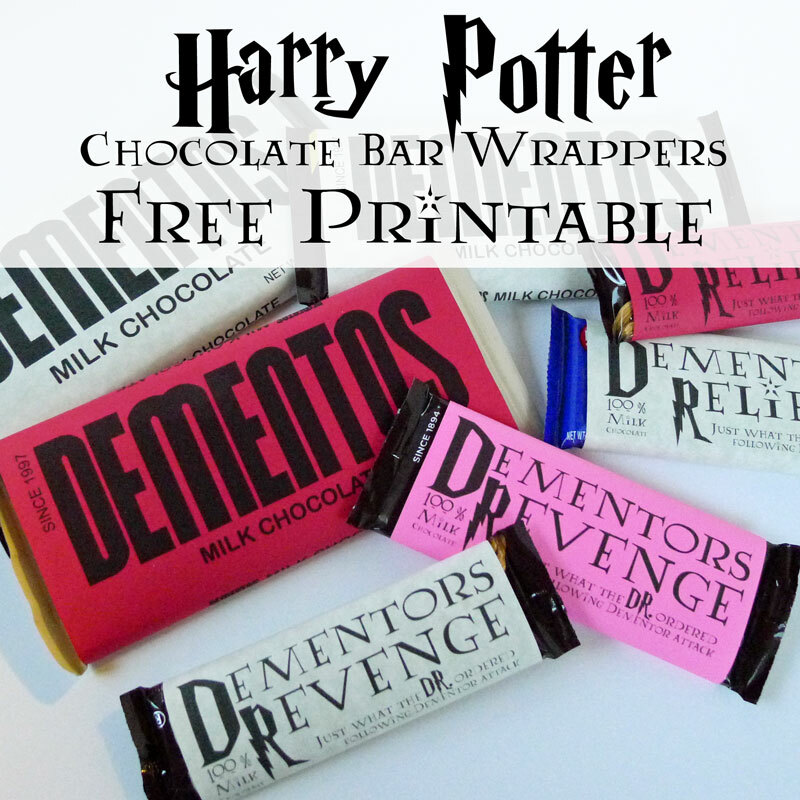 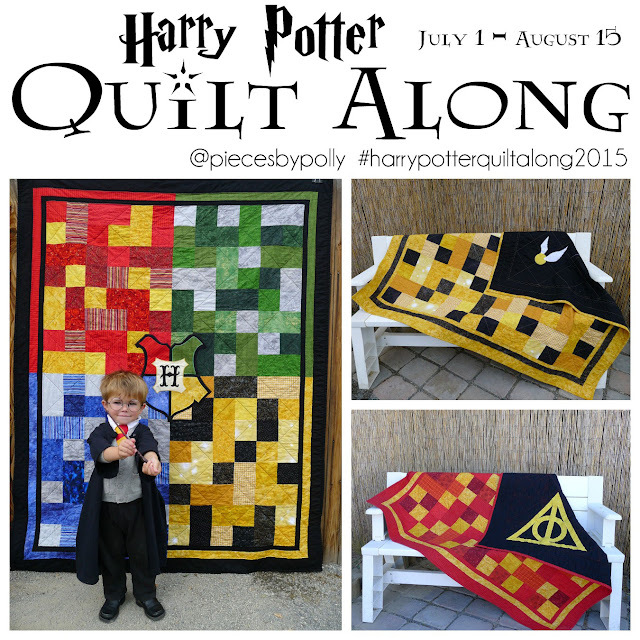 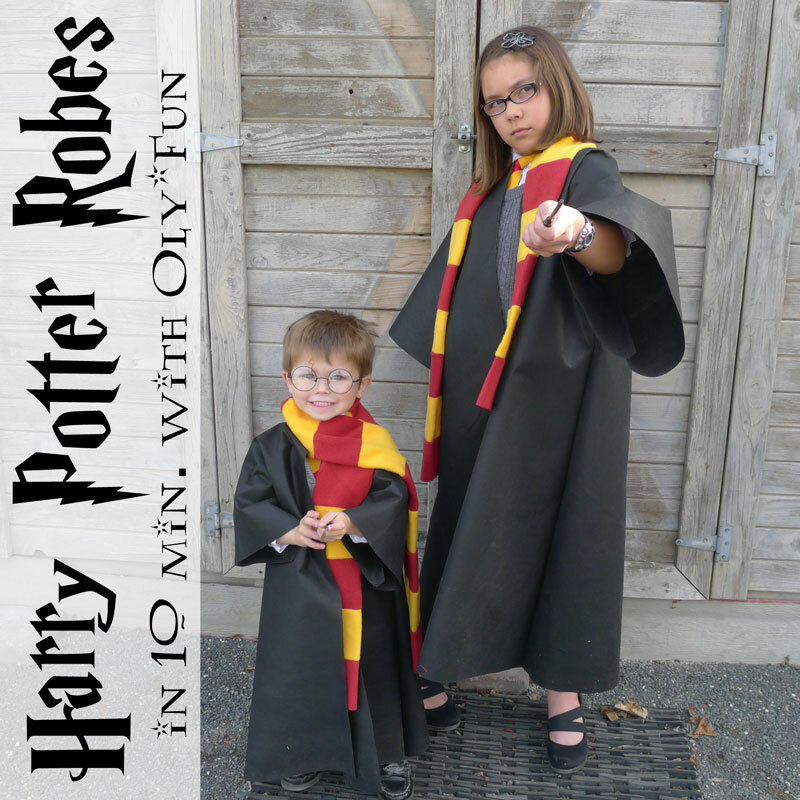 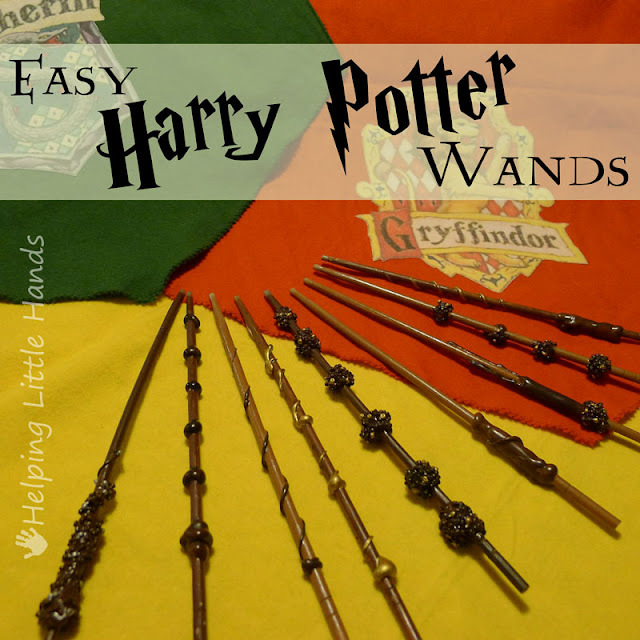 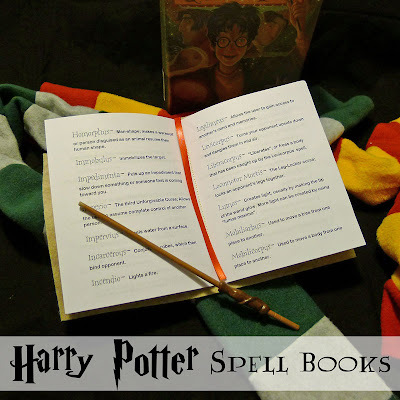 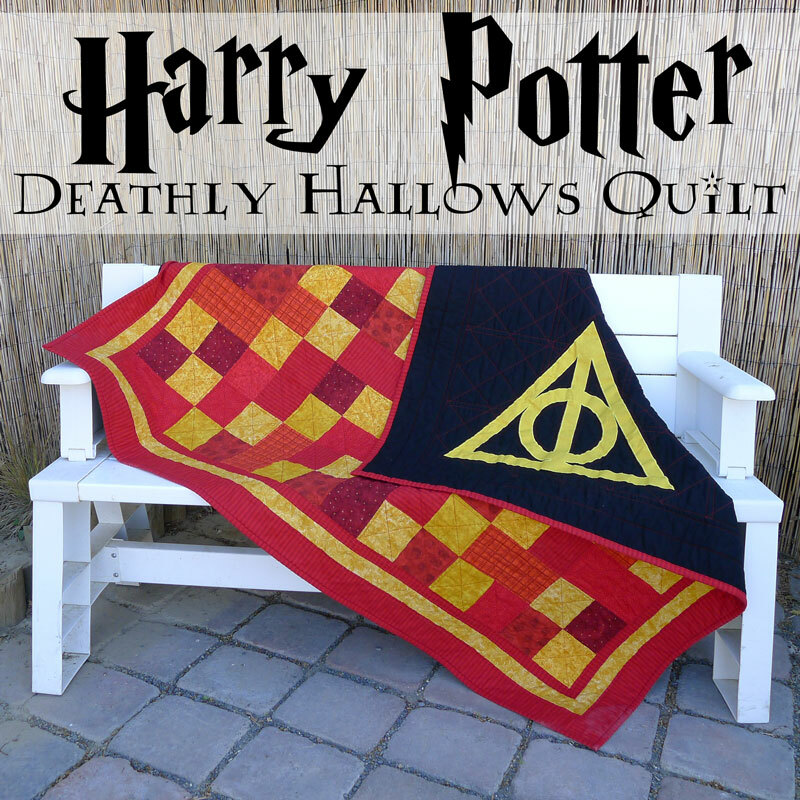 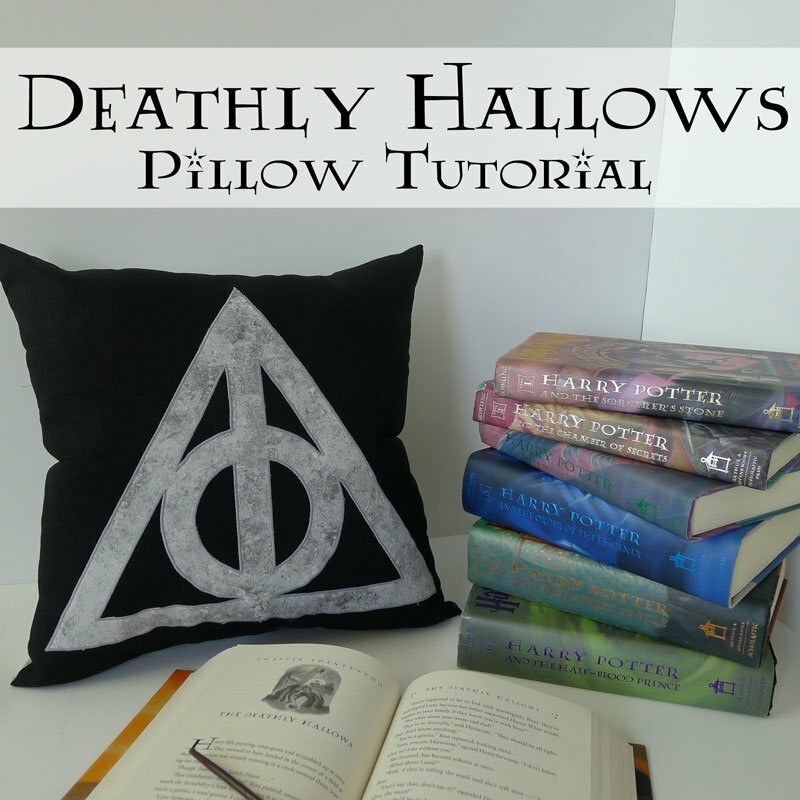 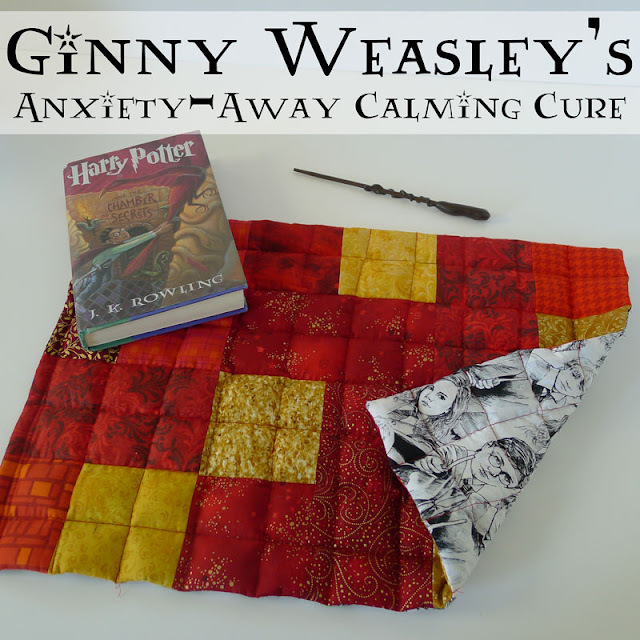 You're going to love this project because you can make a Harry Potter robe in about 10 minutes using Oly*Fun. 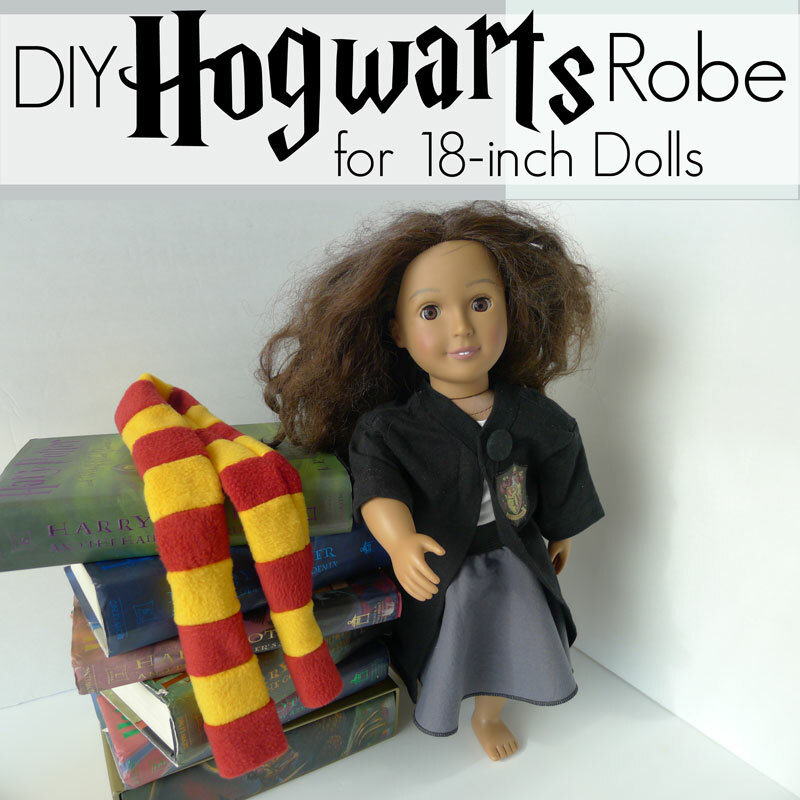 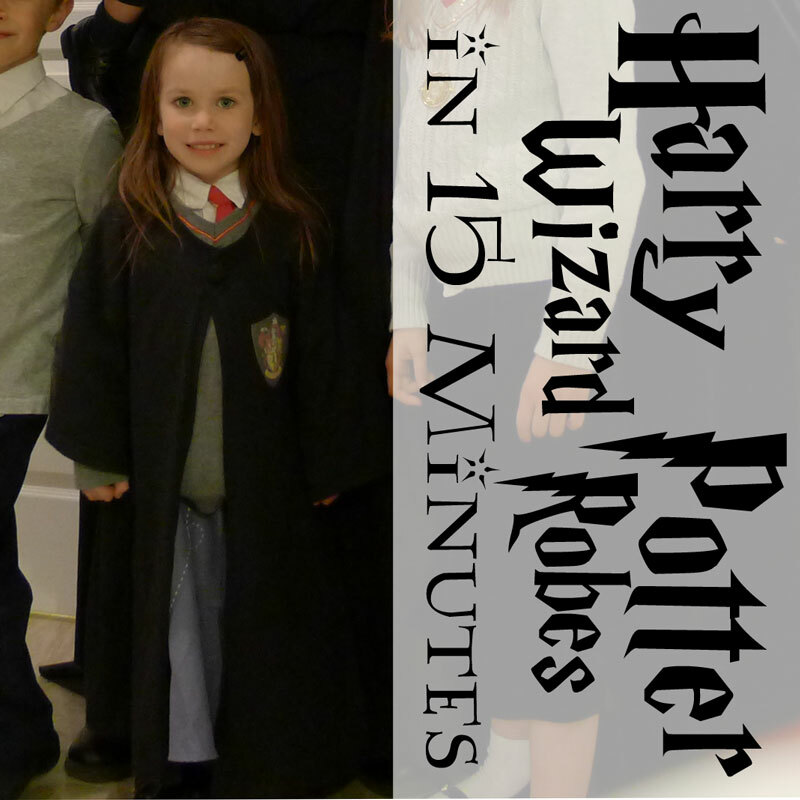 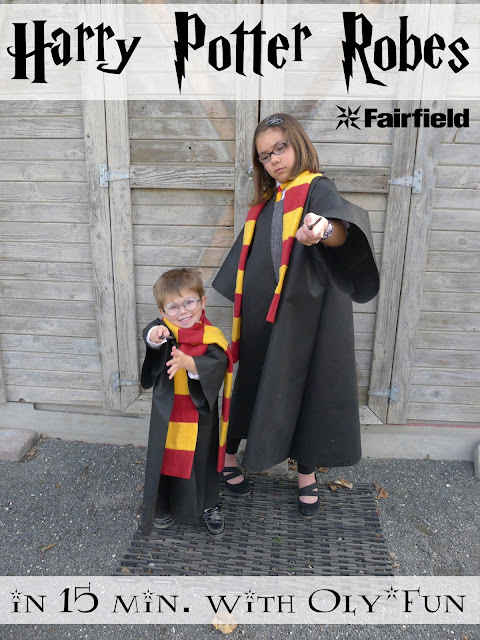 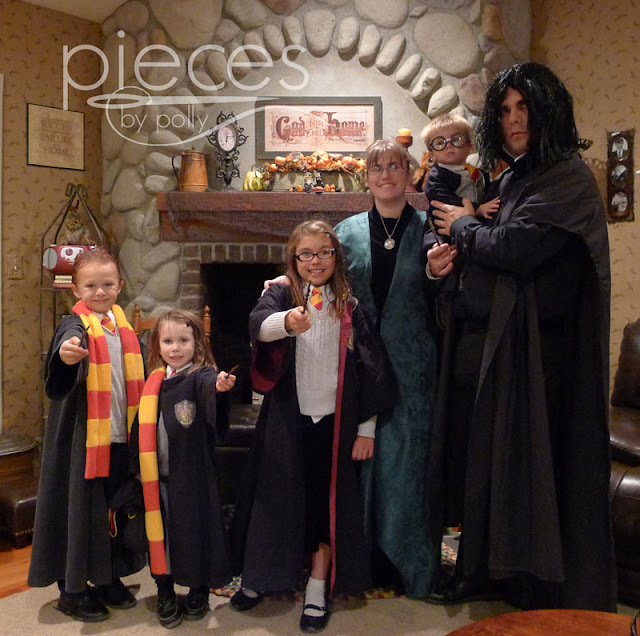 Get the full tutorial for making a Harry Potter Robe in 10 Minutes on the Fairfield World Blog here. Oly*Fun is perfect for throwing together Halloween Costumes because it's so versatile, and these wizard robes are so simple...There's just two seams and you're done. 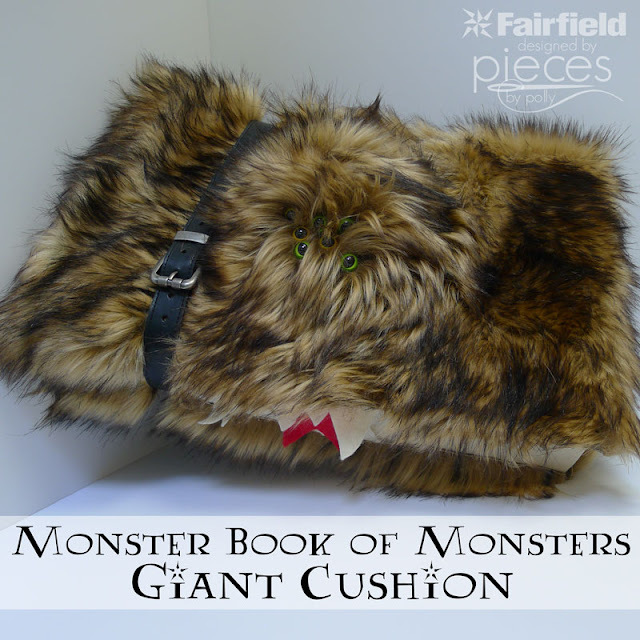 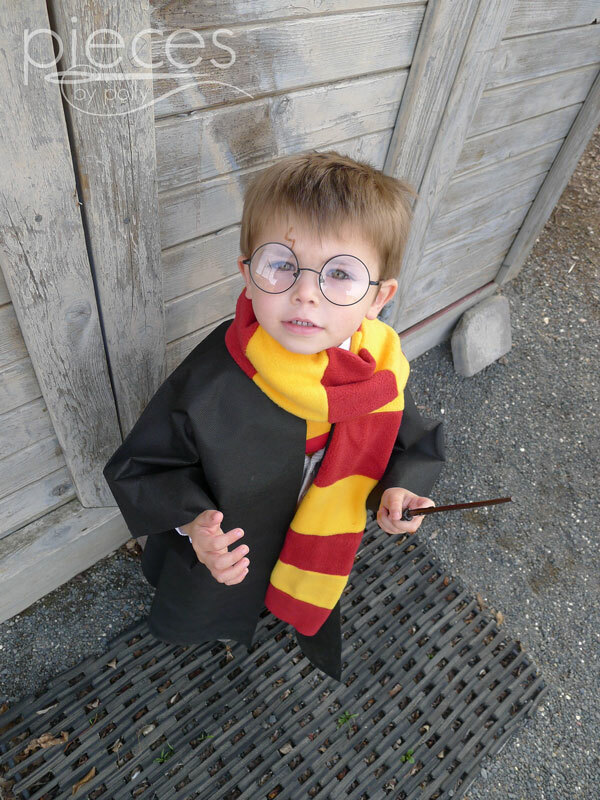 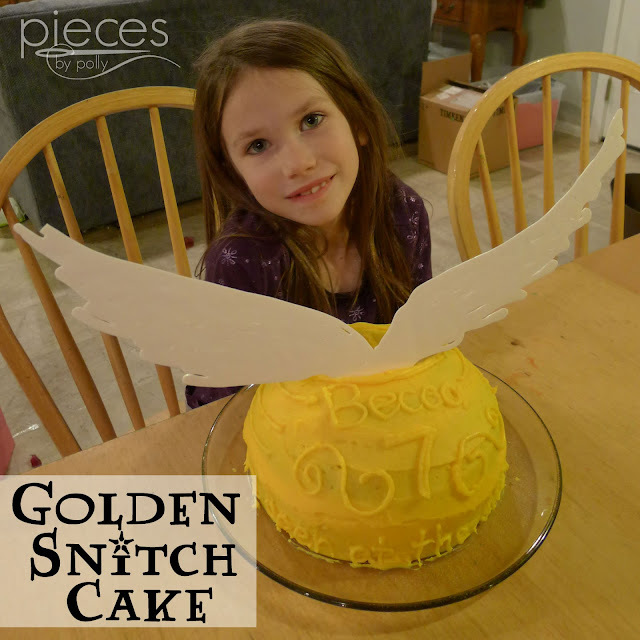 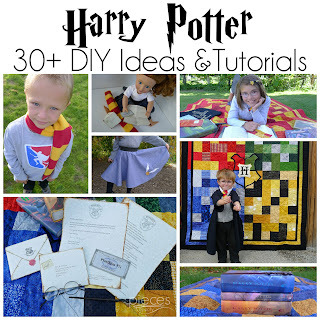 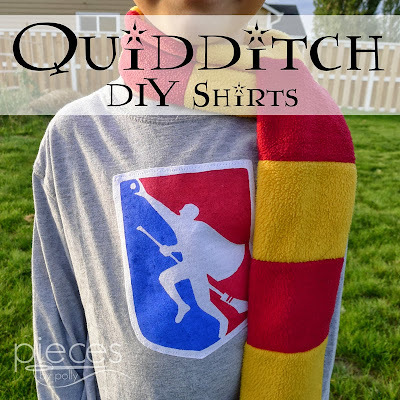 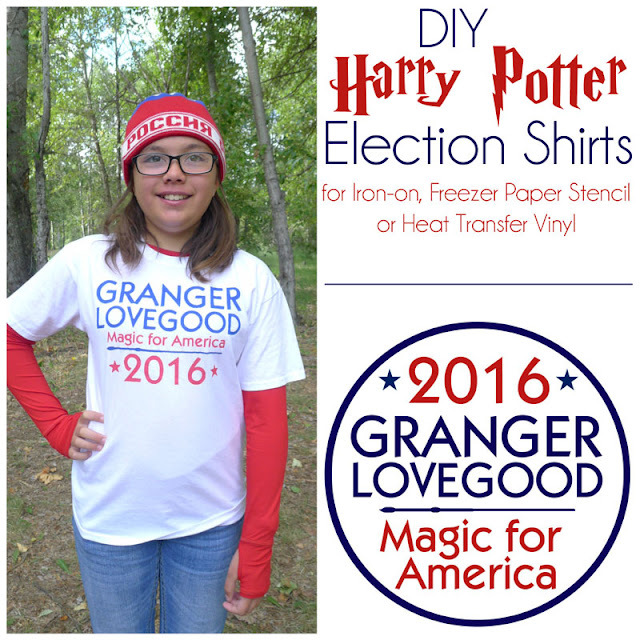 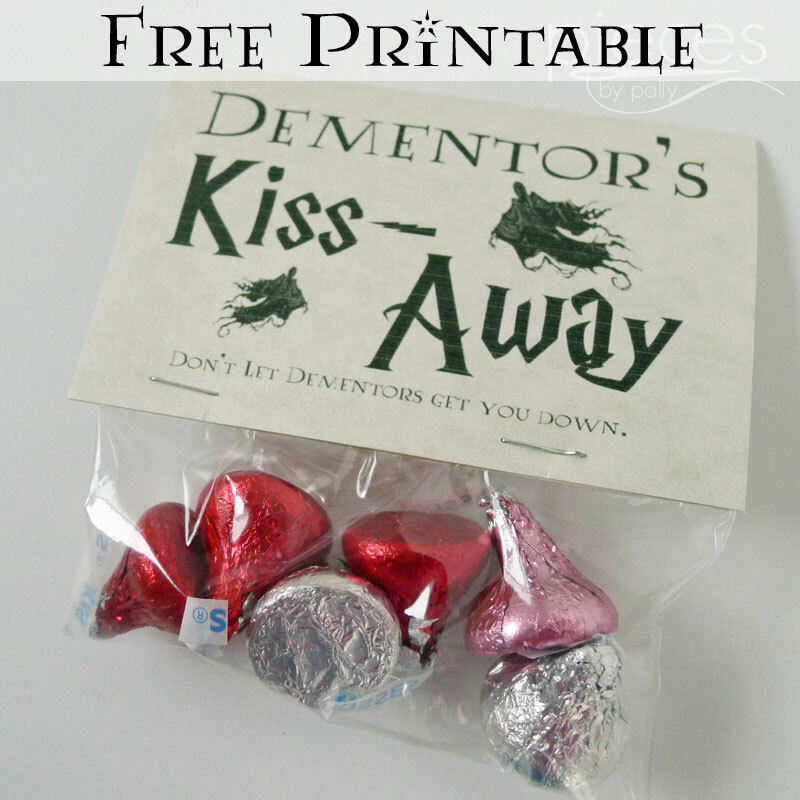 You'll have your child's Harry Potter costume done in no time. 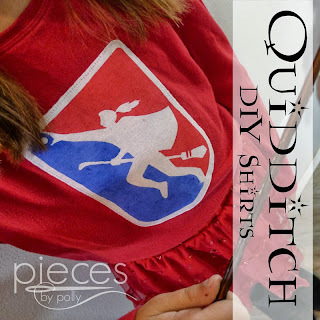 Plus, if you're really not into sewing, you could even get away with gluing with a low-temp glue gun (high temp will melt Oly*Fun) instead of sewing. 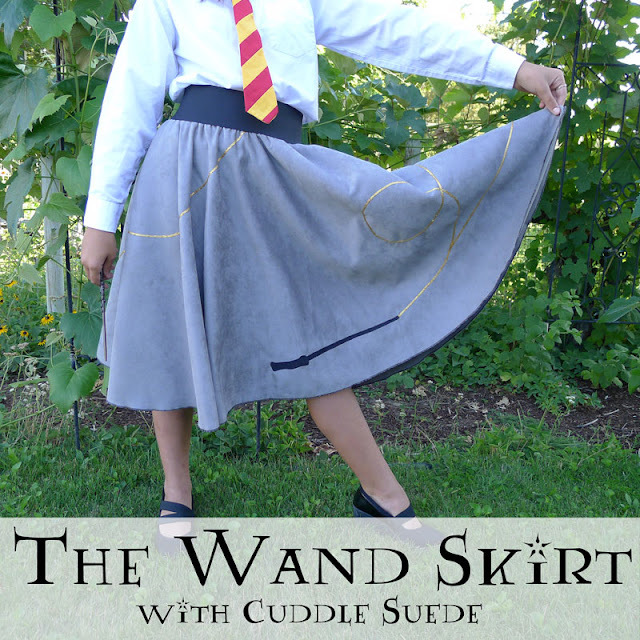 You can use it like any other fabric, but since it doesn't fray, you save a TON of time with no need to hem. 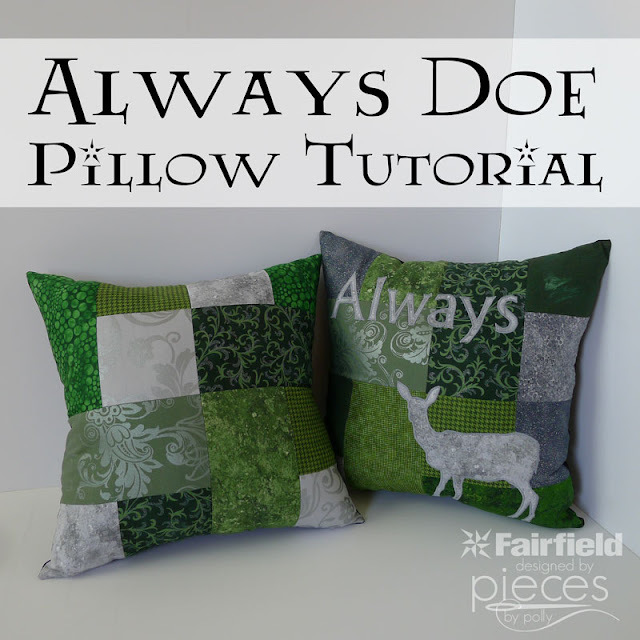 Plus Oly*Fun is easy to purchase by the yard at many major retailers including Joanns, Hobby Lobby, and Wal-Marts that have a fabric section. 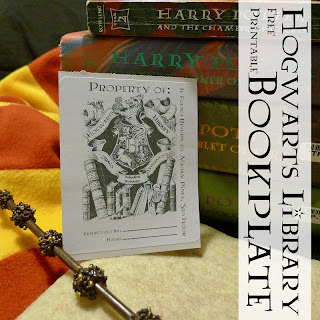 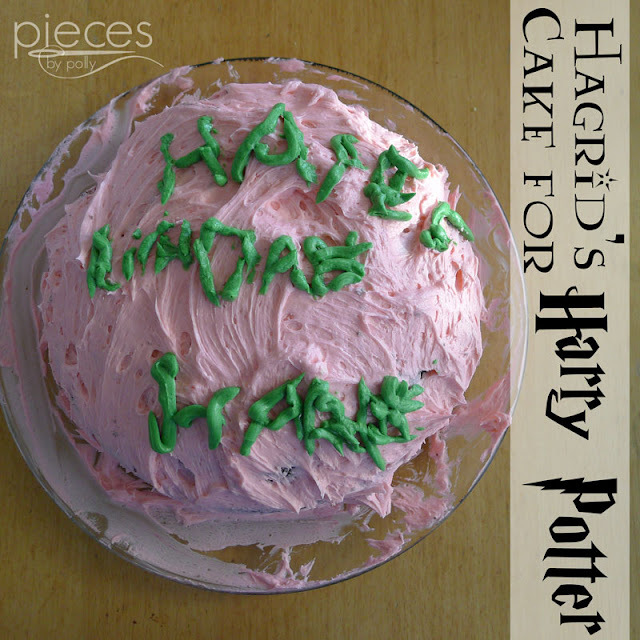 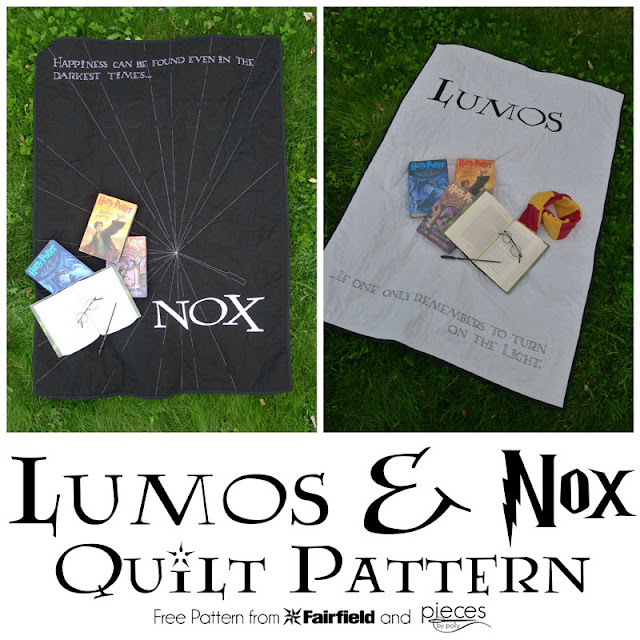 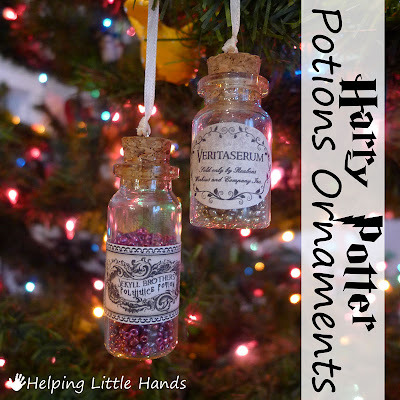 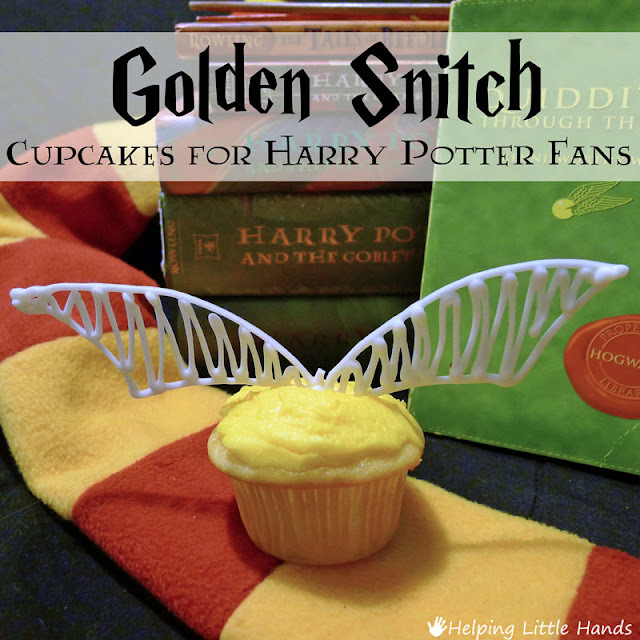 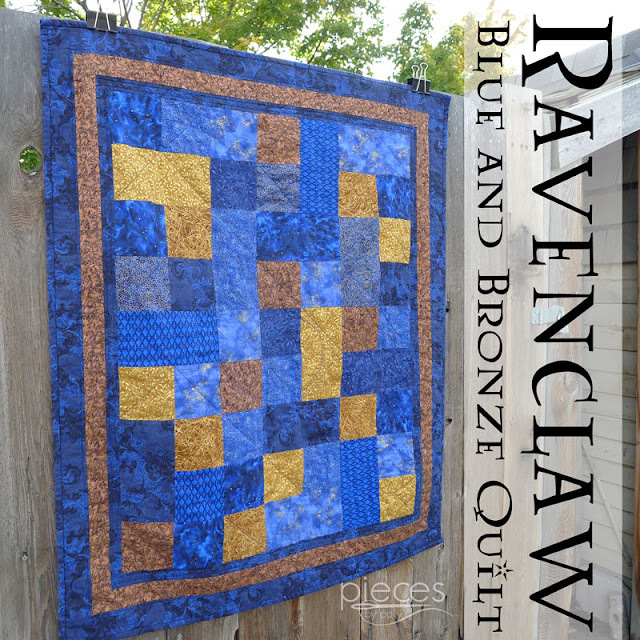 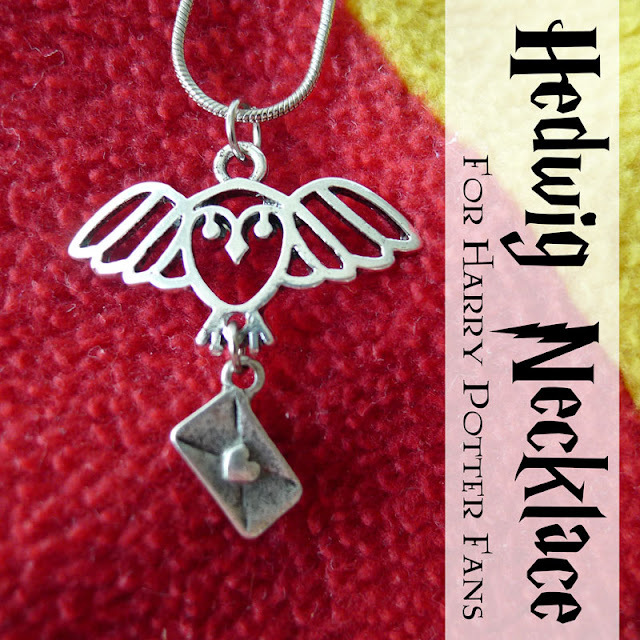 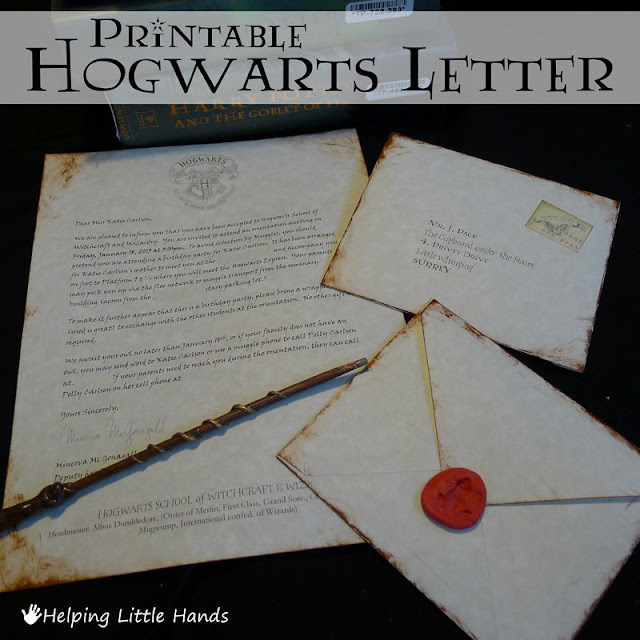 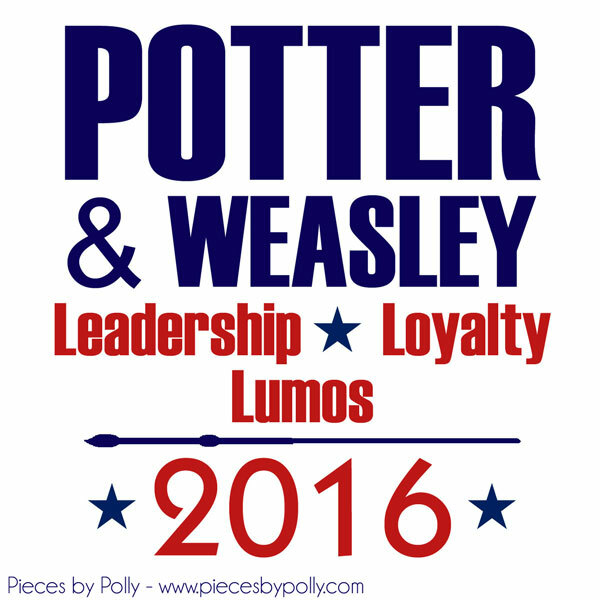 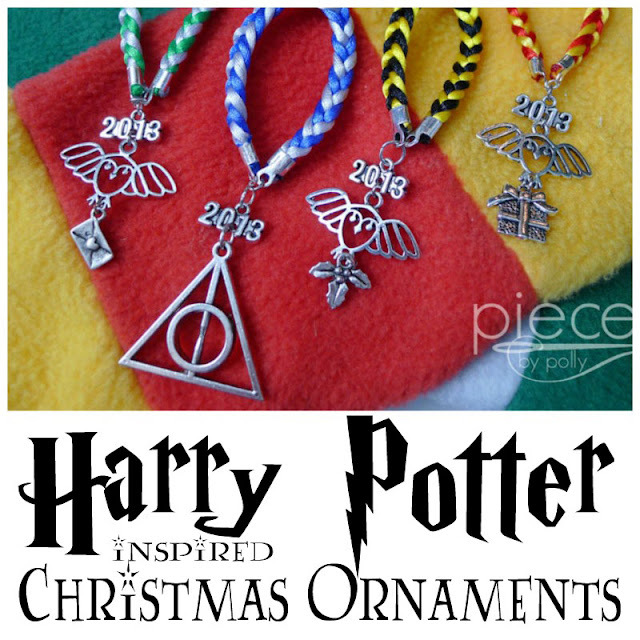 Lots of bloggers will be sharing new Harry Potter themed projects everyday for the next week and a half at Raegun Ramblings, so you'll want to be sure to check back.